Jackie Judd is a communications consultant and active in the non-profit health care sector. For most of her career, Ms. Judd was a journalist, working as an ABC News correspondent for World News Tonight with Peter Jennings, Nightline and Good Morning America for 16 years. In that capacity, she covered many world events and national issues, including health care policy. Ms. Judd garnered multiple awards including national Emmys and an Edward R. Murrow award. She previously reported for NPR and CBS Radio News. More recently, Ms. Judd was a Special Correspondent for the PBS NewsHour covering social policy issues. She also spent a decade as a Vice President at the Kaiser Family Foundation where she was active in moderating health care events and producing mini-documentaries that put a human face on health care policy. 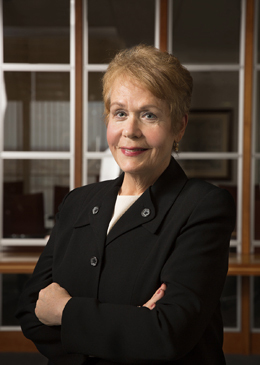 Ms. Judd serves on the Board of Trustees of the ABIM Foundation and on the Advisory Board of the Community Foundation of Montgomery County, Maryland. She graduated from American University in Washington, D.C., with a bachelor’s degree in broadcast journalism and government.